Very simply, we are a volunteer organization that seeks to build unity within our community through activities, projects, partnerships and collaborations which lift up and celebrate diversity, inclusion and appreciation, and respect for our differences. We welcome your interest and invite you to contact us if you would like to join our efforts. From left to right: Chairperson, Dr. Alpha Alexander; The Rev. Scherry Fouke, Member; Anna Tursich, member; Patrice Conway, Vice-Chair; Pauletta Thomas, member; Sami Barile, Founder and Sec/Treas. The organization was established in 2008 by then city mayor, Barbara “Sami” Barile as the Mayor’s Task Force on Diversity. 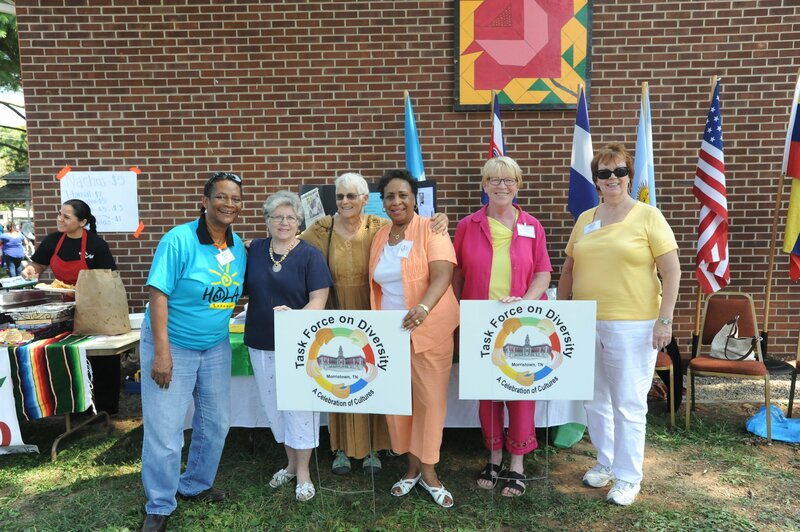 In 2010 we became part of the Rose Center family of organizations and changed our name to Morristown’s Task Force on Diversity. Although we are not operated by city government, we continue to maintain significant connection with that entity and see our work within the context of building awareness and relationships within our community as public service and commitment to justice. We believe this is best done by celebrating the gifts that the diversity of our population provides. Opening ourselves to learn about others and be able to celebrate differences is especially important for our population and history. To acknowledge and celebrate the diversity of our community and to promote acceptance and understanding among its residents. To make Morristown a city where all individuals are equally valued solely “by the content of their character,” and are welcomed and celebrated for the uniqueness they contribute to the community. Morristown’s Task Force on Diversity will celebrate its 10th anniversary at the Annual Dr. Martin Luther King, Jr. Community Breakfast being held on Monday, January 21, 2019 at First United Methodist Church in Morristown. This annual breakfast provides Hamblen County and surrounding areas an opportunity to remember and honor the life and legacy of Dr. King. 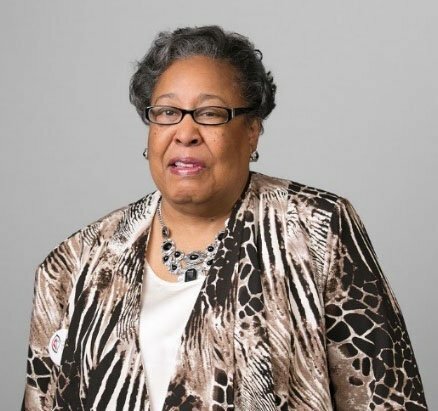 The Keynote Speaker this year is Clara Ester, an eye witness to the assassination of Dr. King in Memphis, Tennessee. Clara Ester was a young woman on that fateful day in April,1968. Clara heard a noise and when she turned, she saw Dr. King fall. Instinctively, she rushed forward. In a lecture to the Chautauqua Society on August 15, 2018, Ms. Ester, a retired deaconess of the United Methodist Church, spoke eloquently about the lessons of that day and how it has inspired a lifetime of work. the 2019 Community Award for Service and Advocacy. Descriptions of these awards may be found on the MTFD website at www. morristown-diversity.org. Breakfast is being catered by Little City Catering/Jersey Girl. The breakfast buffet opens at 7am. The program begins promptly at 7:30am. Tickets are $20 per adult; $10 per student and $10 per Veteran. Tickets may be purchased in advance by calling Walters State Community College at 423-585-6806 or by calling the Rose Center at 423-581-4330. If available, tickets may also be purchased at the door. Clara Ester said that for everyone to be treated equal, “it has to be through love, building relationships with other people, and trying to make a difference.” Show/tell how-you can help people be treated equally through “love, building relationships, and trying to make a difference”. Read the attached background and interview transcript from Clara Ester and then analyze the following quote from the interview. (Our hope is that teachers, parents, and other adults will read and discuss the attached background and interview transcript with the children of this age group and discuss the meaning of the quote with them). What was Martin Luther King Jr.’s dream and how is it still our dream today? Read the attached background and interview transcript from Clara Ester and then analyze the following quote from her. Clara Ester gives us four ways to help build equality-love, building relationships, trying to make a difference, and speaking out. Which of these do you believe has the greatest impact to build equality for human kind. In another interview. Clara Ester said that every April 4 since the assassination of Martin Luther King, Jr. has been difficult for her to bear, in part because pictures from the assassination scene are re-circulated in the news media. At times she believes it is even more difficult to deal with now. Support or refute Clara Ester’s claim that “we have circled back to where we may have been 50 years ago. . . “. Have we circled back? If so, how? If not, what progress have we made?